Elias, Julie. Das neue kochbuch Ein führer durch die feine küche. 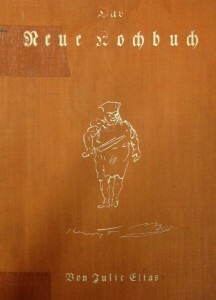 Berlin: Ullstein, 1925. Julie Elias was a fashion journalist living in Berlin with her art historian husband, Julias Elias. She published reviews and commentary on current fashions of the Weimar period in both mainstream and Jewish publications. 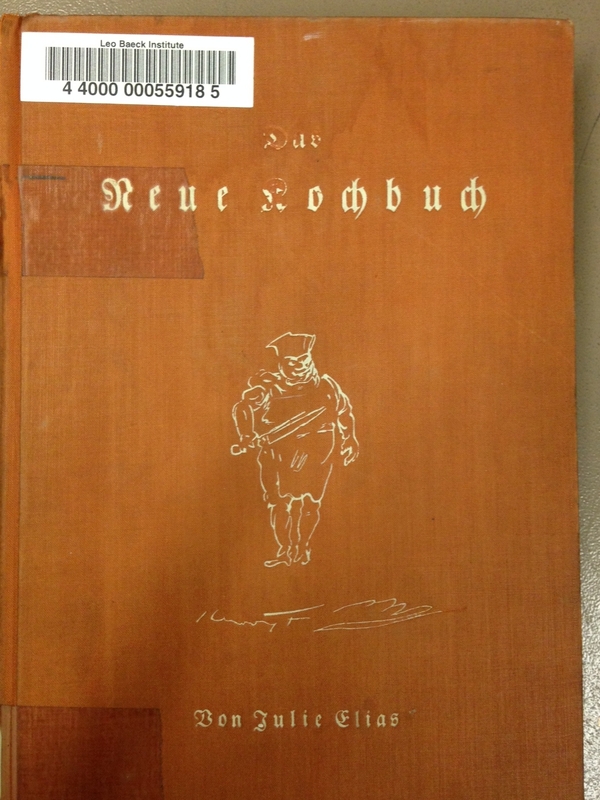 In 1925 she branched out to create Das Neue Kochbuch or “The New Cookbook.” This book was aimed at Jewish housewives. In the introduction to Das Neue Kochbuch, Elias explains her in cooking as it relates to the latest developments in hygiene and health. The recipes include distinctly Jewish ones, such as matzah balls, matzah soup, and other dishes particular to Passover. In addition, a number of the recipes are mentioned as being borrowed from prominent Jewish figures in Germany at the time; such as Bertha Liebermann, the wife of Max Liebermann, the famous painter, and the fashion writer Elsa Herzog. 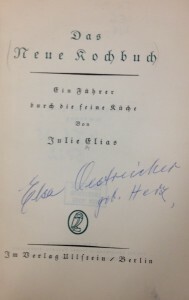 The copy of the cookbook found in the Leo Baeck Institute library bears the name of the owner, Elsa Oestreicher, on the title page. A resident of Berlin, she herself was an instructor at a cooking school following World War I and the author of several cookbooks. She opened up her own cooking school for Jewish women following the Nazi seizure of power, when she could no longer teach non-Jews according to the Nuremberg “race laws.” She was deported to the Theresienstadt Ghetto at the end of 1942, where she survived as a cook working at one of the food distribution points. After the war she immigrated to New York where she again became a cooking instructor, this time to many Jewish Holocaust survivors trying to start a new life in America. She died in New York in 1963. 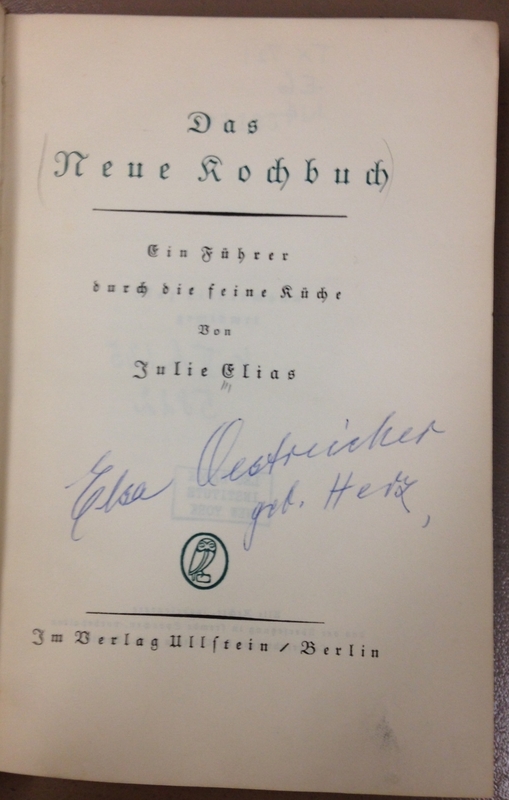 The title page of Elias’ “Neue Kochbuch” with the signature of Elsa Oestreicher. Elsa Oestreicher Collection, AR 328.